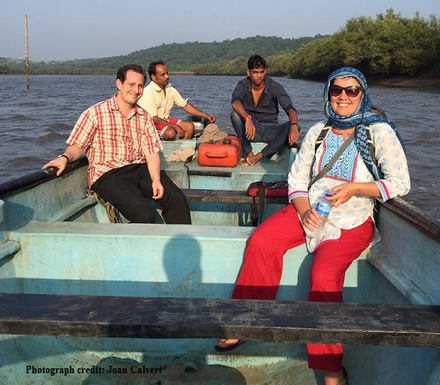 A walk through the Dr Salim Ali Bird Sanctuary takes you to a Goa still holding on to much of its rustic nature. It is a soothing reminder of a simpler time. 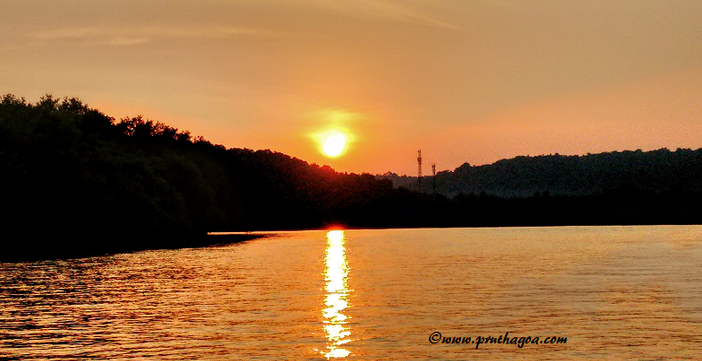 If you want a sure antidote to your stressful life then a boat ride along the River Mandovi is a must. The mangrove habitat is home to creatures great and small, and is dense with shrubbery and trees. 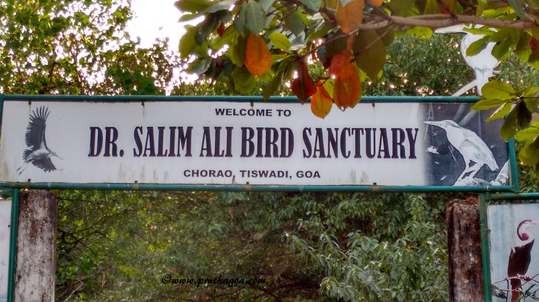 The Dr Salim Ali Bird Sanctuary was established in 1988 and was named after India’s most famed ornithologist Dr Moizuddin Abdul Ali (1896-1987). He stoked interest in ornithology in India through his surveys of birds across India and his books The Book of Indian Birds, the ten volume Handbook of the Birds of India and Pakistan (written with Dillon Ripley) and many others. The sanctuary, which is situated at the southwestern part of the island of Chorao, should be ideally visited from the months of October to March as per the migratory pattern of some of the birds. The mangrove swamp provides an excellent and thriving breeding ground for fish and insects that feed the birds and other animals on the island. 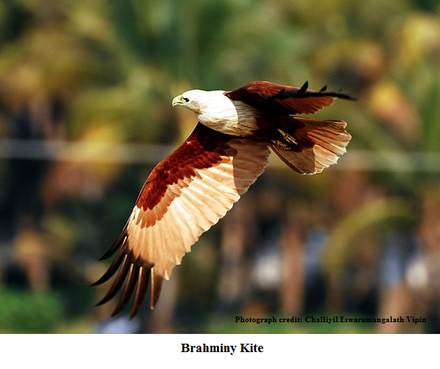 The sanctuary boasts of several varieties of local and migratory birds. The best times to see the birds seems to be early morning (7am-10am) and late afternoon, which is probably why the sanctuary opens at 6am and closes at 6pm through the week. Uday Mandrekar, a native of Chorao, acts as tour guide. He greets you with a friendly smile and transports you from the Forest Department Office to the boarding point of the boat in his vehicle. The subject of a documentary film The Birdman of Chorao, which won the second runner-up award at the Green Heroes Film Festival, Uday remains down-to-earth and truly immersed in his chosen occupation. Starting out as a guide in his tenth year in school, Uday picked up his knowledge of the birds and the English language from birdwatchers on his early trips down the river. He still goes visiting the mangrove by himself to observe the birds and animals. 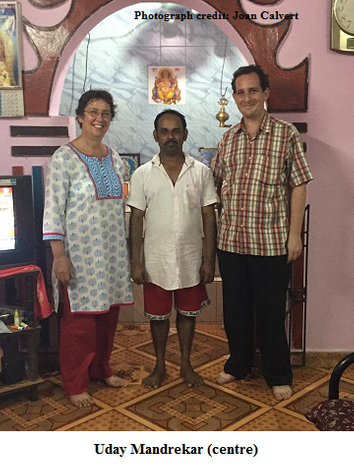 After the one to one-and-a-half hour tour, he takes you back to his quaint house and plies you with chai and snacks made by his wife and mother. The popularity of his tours is validated by the number of tourists and bird lovers that have come to this place. He has two to three large guest books filled with positive comments from international as well as domestic tourists. My trips to the sanctuary have been many as I accompany friends who are holidaying in Goa. Every trip is an experience in itself, never to be repeated. That is the beauty of nature. 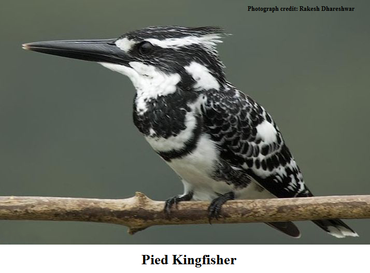 We have caught glimpses of every kind of kingfisher including the common kingfisher, the white-breasted kingfisher, and the fascinating pied kingfisher, which is marked with black and white colouring and stands apart from the others. The grey heron, the black heron, the cattle egret, the little green bee-eater, the white stork, the golden oriole, and the magnificent brahminy kite are just a few of the birds observed here. *To book a boat tour, you can call +91 9822583127/ +91 9545062069 at any time of the day. You can also call +91 832 2239114 after 9pm or email udayingoa@gmail.com. Be warned of snakes, jackals, flying foxes and crocodiles that also make their home at the sanctuary. One year that we made the trip, there was nothing but crocodiles. They were incredibly shy and inched away as soon as the boat approached them. From spotting young ones to older and larger specimens, we even came across a couple mating. To give you a taste of Uday’s sense of humour, let me recount the conversation that emerged as a result of the crocodile sightings. I was the only woman among four men and one of them asked what we were to do if the crocodiles became hungry. The first suggestion was to throw our 6 foot 5 inch friend into the river. To this Uday replied with a mischievous glint in his eye, ‘No, crocodiles like the flesh of women. It’s soft and tastes like chicken.’ Later the mother of one of my friends asked a question that had come to my mind too – ‘How does Uday know that women taste like chicken? !’ Jokes apart, it gives you an idea of the camaraderie the man strikes up with his clients. It is the serene ambience of the sanctuary, the remarkable wildlife and the presence of Uday, the friendly guide, that make a visit to the Dr Salim Ali Bird Sanctuary so magical. It reminds us that Goa is much more than beaches and booze. We have a beautiful environment that we must fight to protect at all costs.